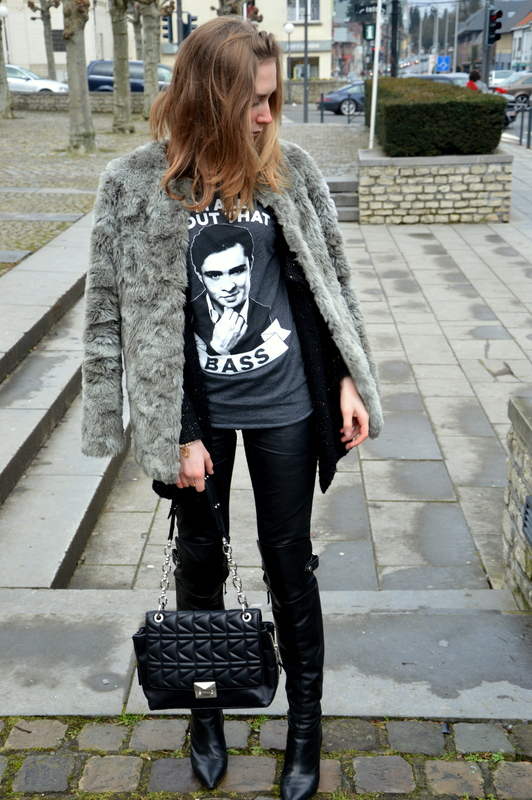 Before I start packing for Agadir, a little outfit update! Now I have the time, I make use of it wisely ;). 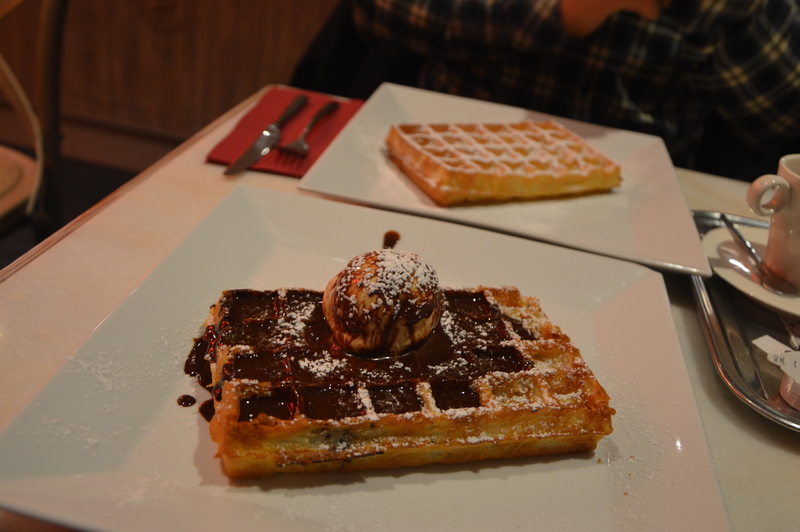 I came back from Leuven yesterday, and today I went to Waterloo with my boyfriend. We needed some quality time, because we hadn’t seen each other since the beginning of 2015! After strolling around a little we had coffee in a cute tavern. And of course, I asked him to take these pictures. What else do you expect from your fashion blogging girlfriend? 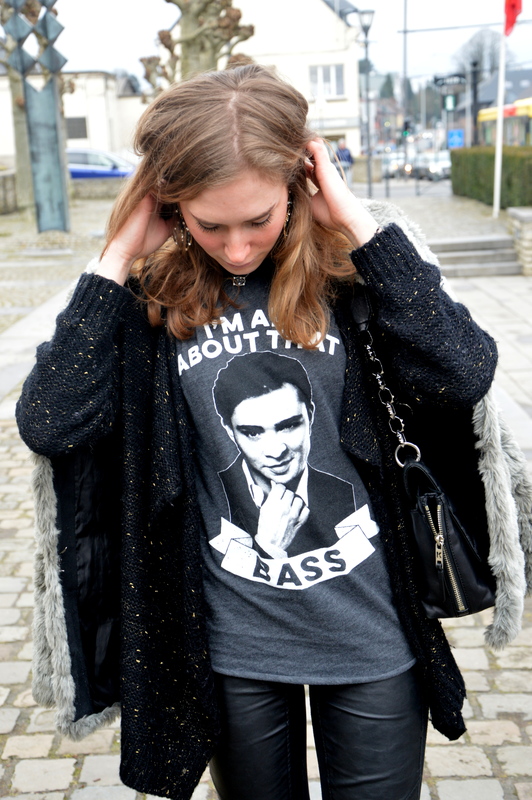 A few weeks ago I ordered my long sleeve t-shirt designed by Ed Westwick. It’s grey with black sleeves! I absolutely love it, and also because of the fact that I got Chuck Bass on it. Honestly, you girls understand what I’m talking about, don’t you? I secretly stole my Mom’s Karl Lagerfeld purse because, it’s simply gorgeous. Sorry Mom. I’m catching the plane this night with two friends. I can’t wait to put on my bikini and just chill at the pool! So next time you hear from me, I’ll be blogging with a fresh cocktail next to me. Comme la vie est belle. PS: Don’t forget to follow me on Instagram and Facebook for daily updates from abroad!